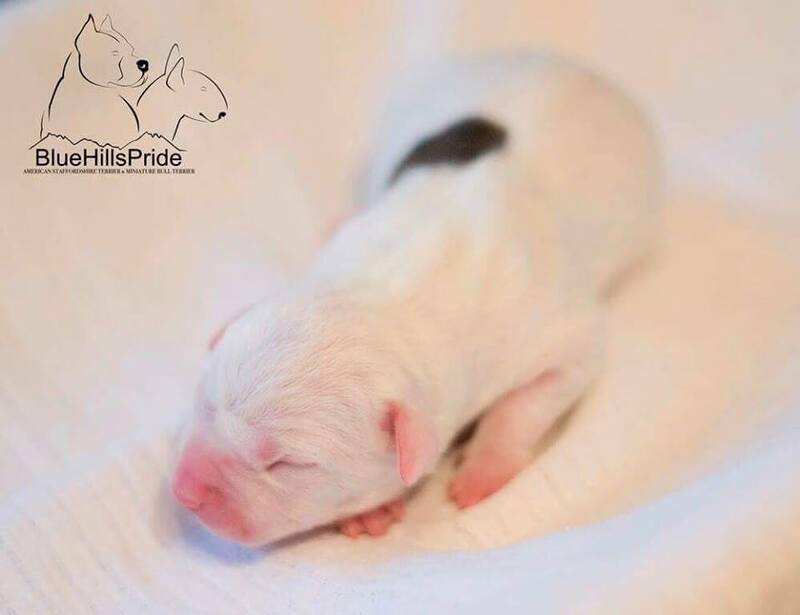 We are happy to announce that 31.10.2018 were born in our kennel first litter Miniature Bullterrier out of Diva and Bazyl. We have 3 males and 1 female. 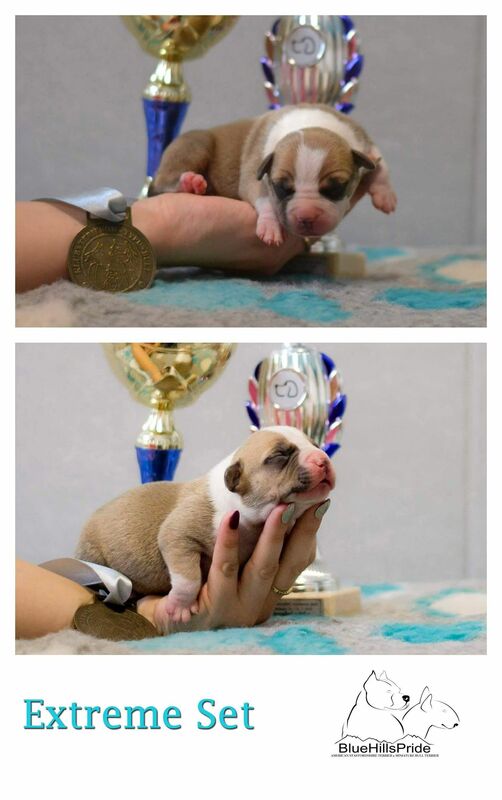 We are happy to announce that 04.10.2018 were born in our kennel puppies from very nice combination BISS CH. YOU ARE MY LOVE S Almaznogo Ostrova oraz Multi JBISS BISS Ch. JET SET King Of Ring's. 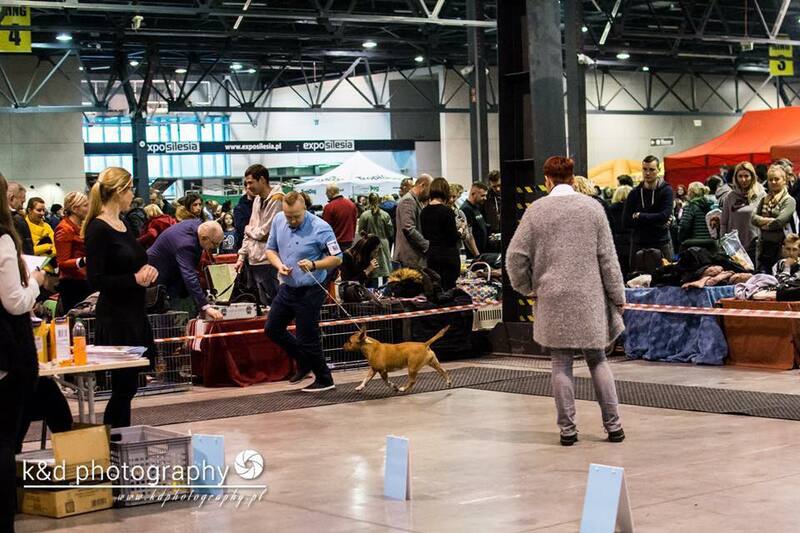 We are happy to announce that at the beginning of November we expect puppies from very nice combination! 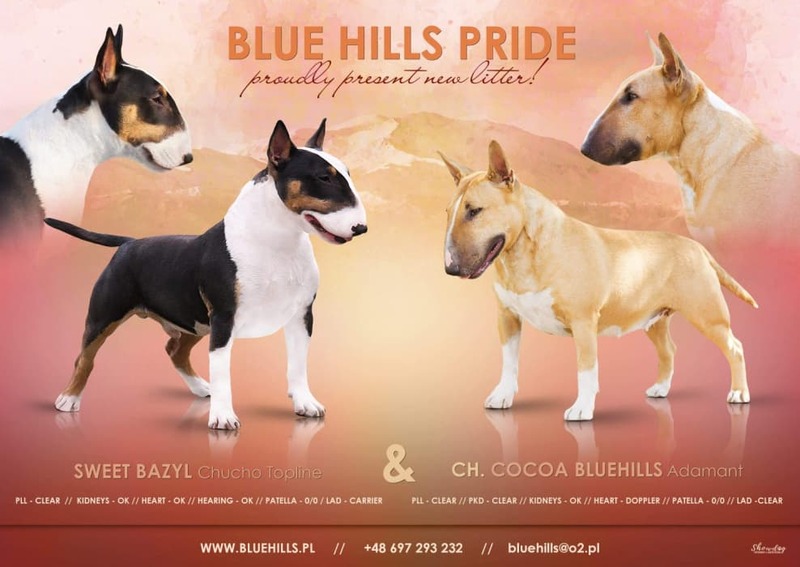 We are happy to announce that at the beginning of October we expect puppies from very nice combination! TOP JUNIOR TTB in Poland 2016r. 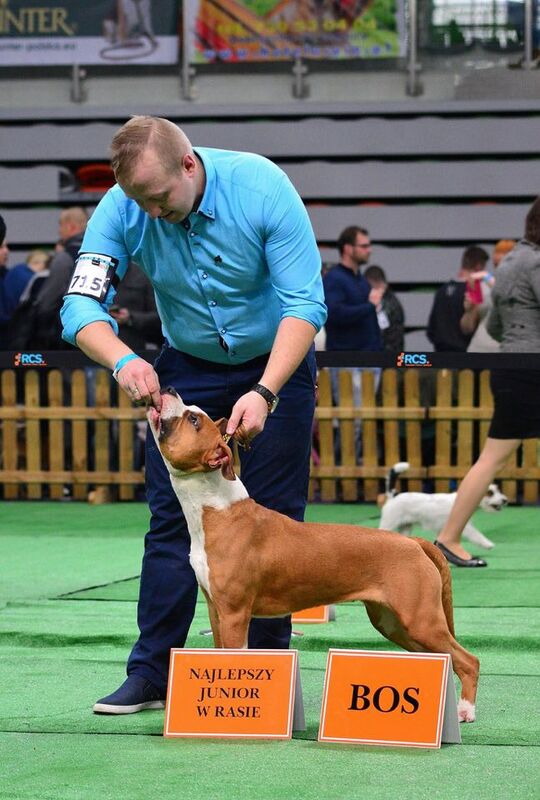 TOP AMSTAFF MALE in Poland 2016r. CHAMPION OF CHAMPION BOB WINNER 2017r. POLISH JUNIOR CLUB WINNER 2016r. TTB CLUB SHOW JUNIOR WINNER 2016r. 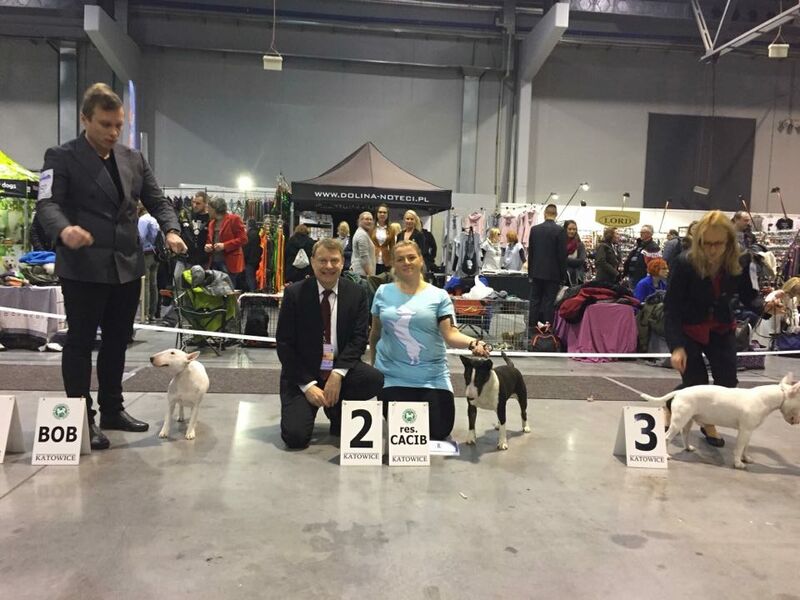 At International Dog Show in Katowice our Hela did great job. Junior class: place 1, Junior Winner, Best Junior BOB, BOG II ! Our new star in BlueHillsPride did great job at IDS Lubin. We are gaining the next shows tops, this time in Wisła. 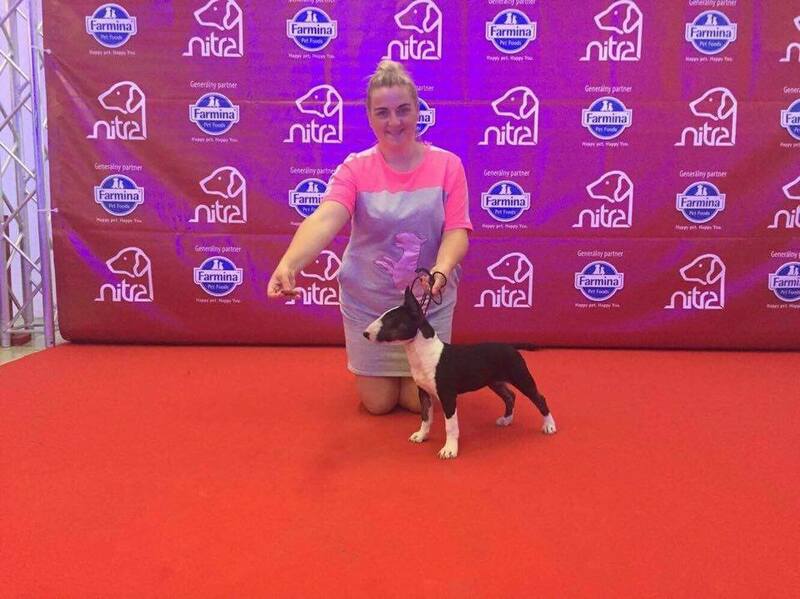 MADEMOISELLE Pokora Best Minor Puppy, BIS Minor Puppy place II !! 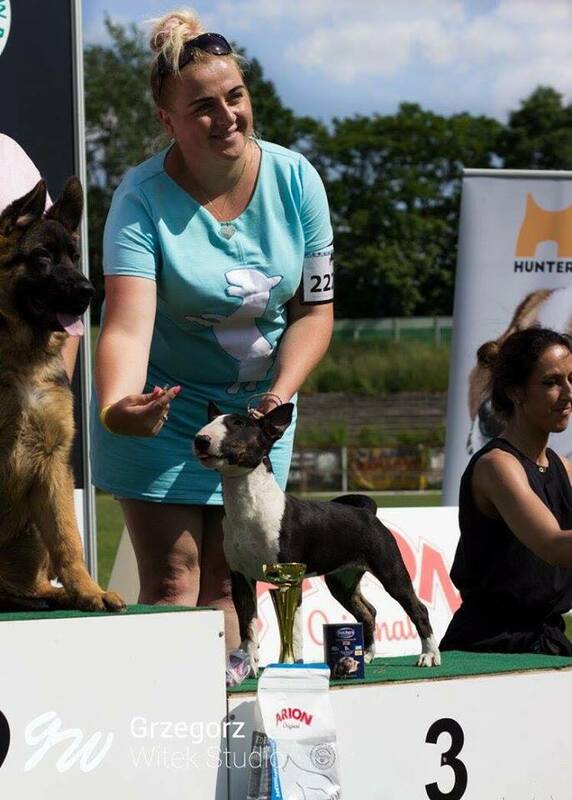 intermediate class - 1st, CAC, BEST FEMALE, BOB !! 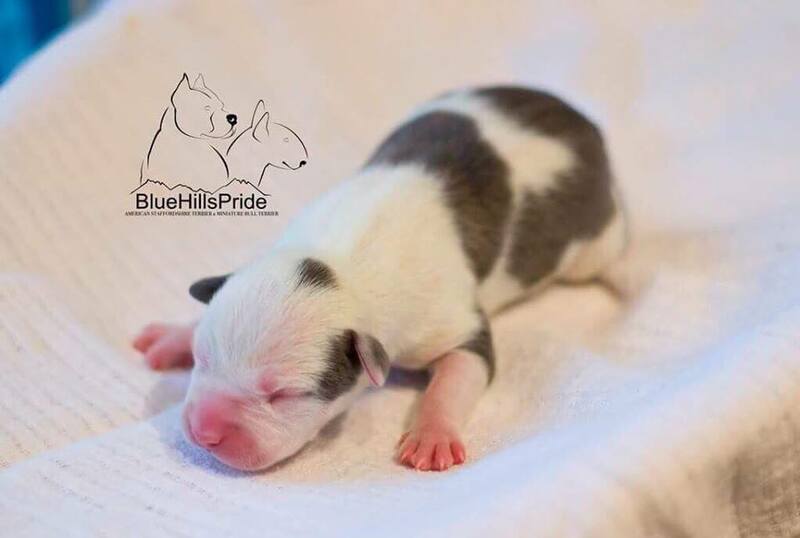 We would like to introduce our new Amstaff love which came to our BlueHillsPride family. 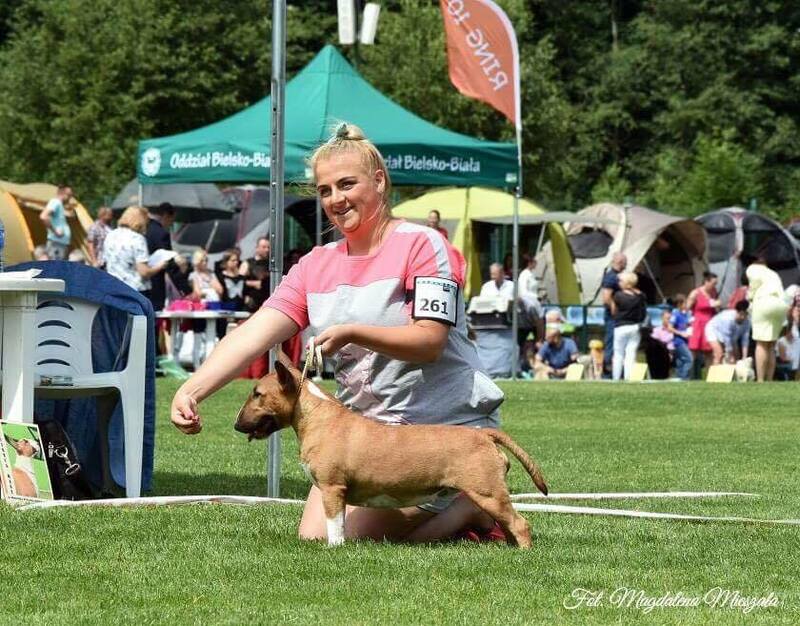 GINEVRA Catori Muraco in home call CANDY from friendly kennel. 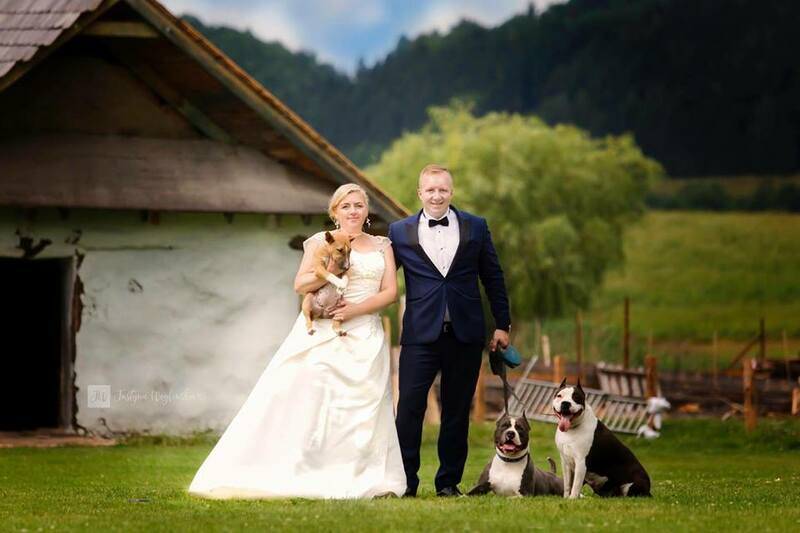 Tomasz & Bożena thank you for her and your trust! intermedia class - 1st, CAC, BEST FEMALE, BOB, BOG place III ! 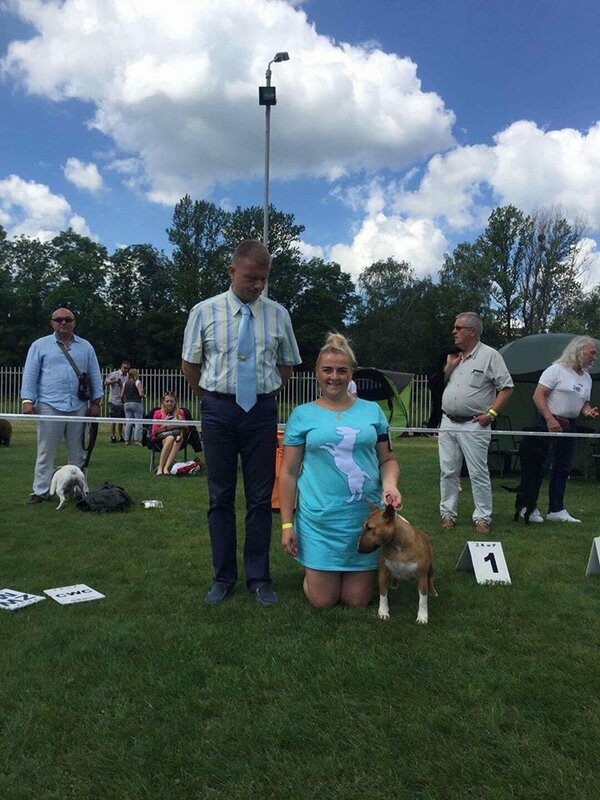 intermediate class - 1st, CAC, BEST FEMALE, BOB! Show debut our Hela - MADEMOISELLE Pokora was soooo goood ! 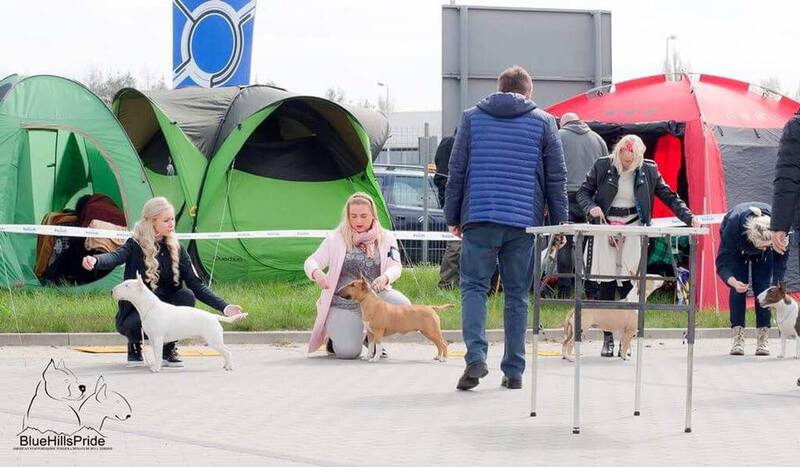 During 3 days dog shows in Opole (21-23.04.2017). Our Diva finished title JUNIOR CHAMPION OF POLAND!! 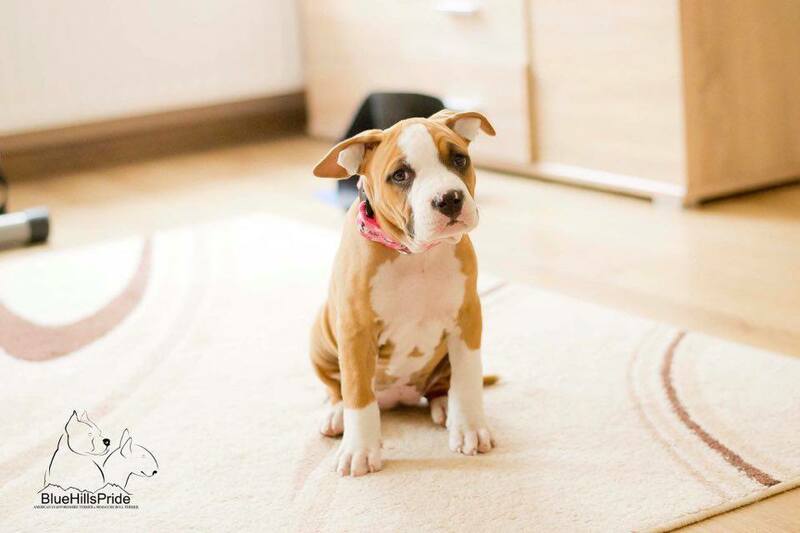 We are happy to announce that under our wings we have lovely girl miniature bullterrier Helenka! 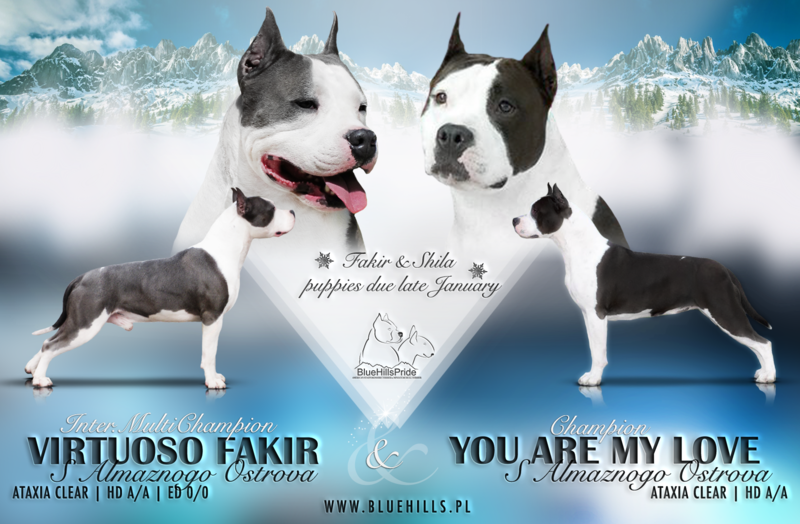 We would like to thanks to our friend and breeder for gave us second treasures from his hands. Jacek Paczkowski (Pokora Fci) big thank you! More informations in Our Females. 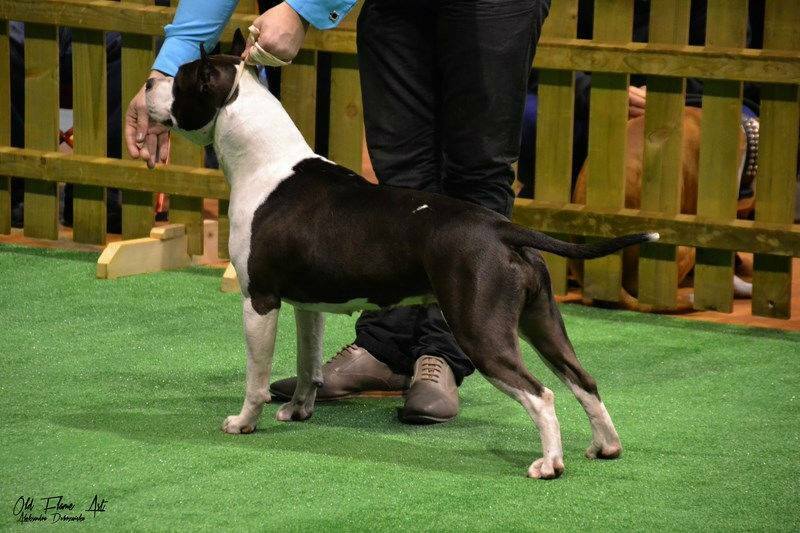 We welcome new show season :) Our Miniature Bullterrier Diva is coming soon to show ring! We have puppies! Date of birth 21.01.2017r. We have 4 males and 1 females. december 2016 PUPPIES ON THE WAY! We are happy to announce that the pregnancy was confirmed by ultrasound! july 2016 OUR LOVE AND PASSION ALWAYS WITH US! january 2016 PUPPIES ON THE WAY! 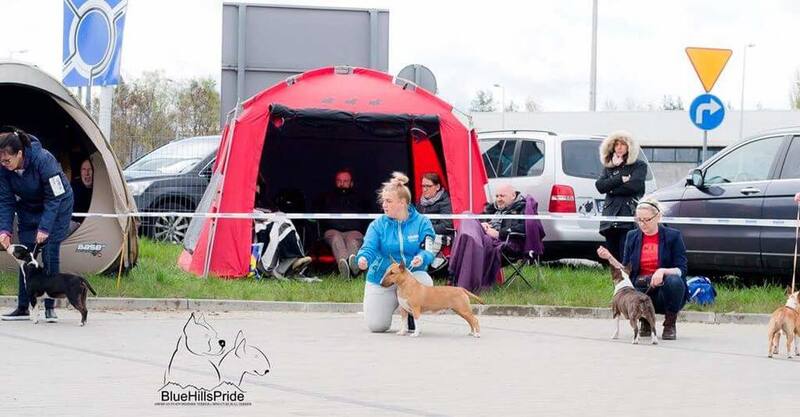 At the show in Świebodzice we always go very willingly, because here were started the show career our dog and also this time we are very happy from our results. april 2014 Shila BOG I! place 1, CWC, CACIB, BOB, and next in final BIS under judge Roberta Kanas (SK) - gained the most wanted place - BOG I !! This way she started two titles: Champion of Slovakia and more important title INTERCHAMPION! place 1, CWC and for dessert res. CACIB. We are very happy that one more time our Shila was appreciated but such a specialist from breed. One more time our Shila makes us proud. 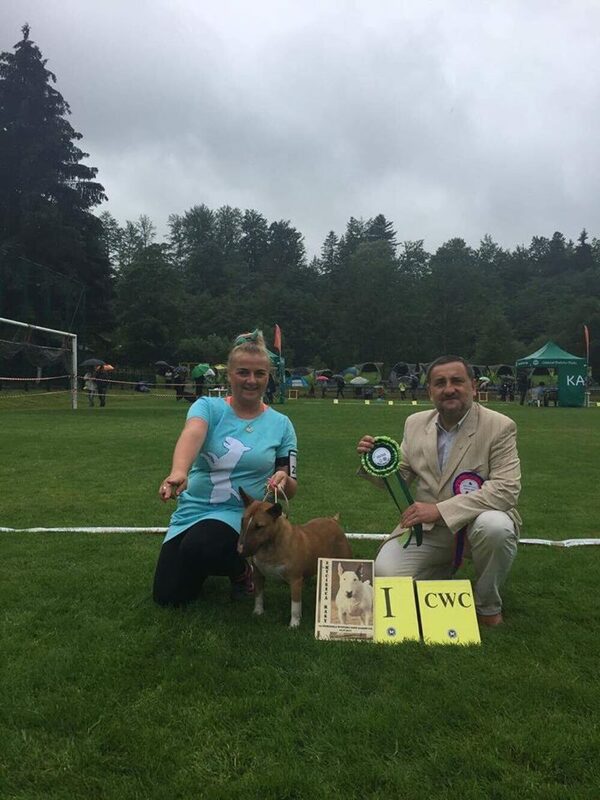 In intermediate class gained: place 1, CWC & BOS! 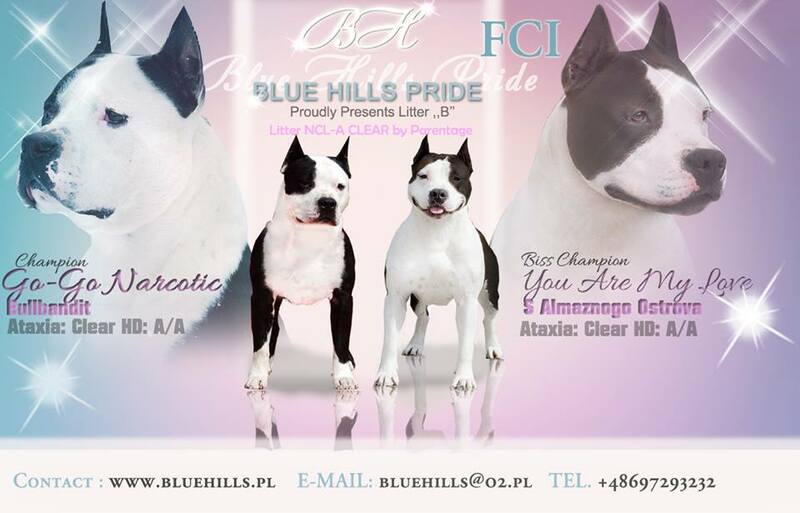 october 2013 SHILA & ATOM JUNIOR & POLISH WINNER 2013! 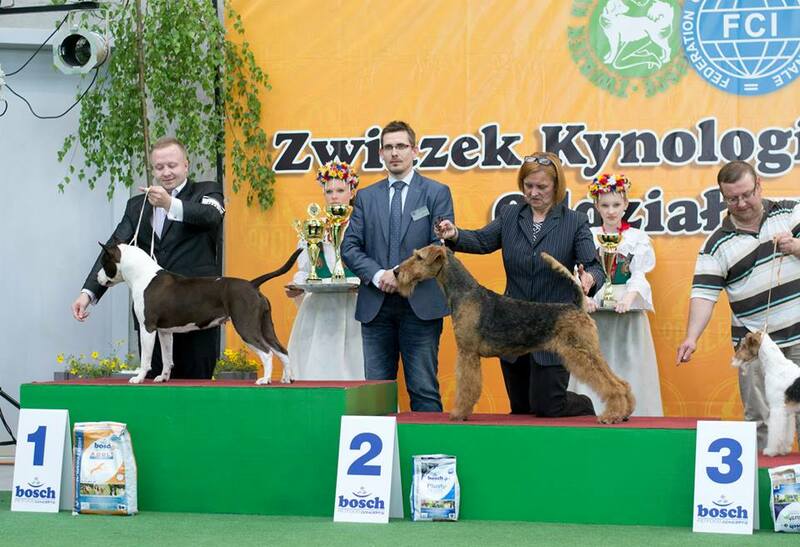 september 2013 SHILA JUNIOR CHAMPION OF POLAND! 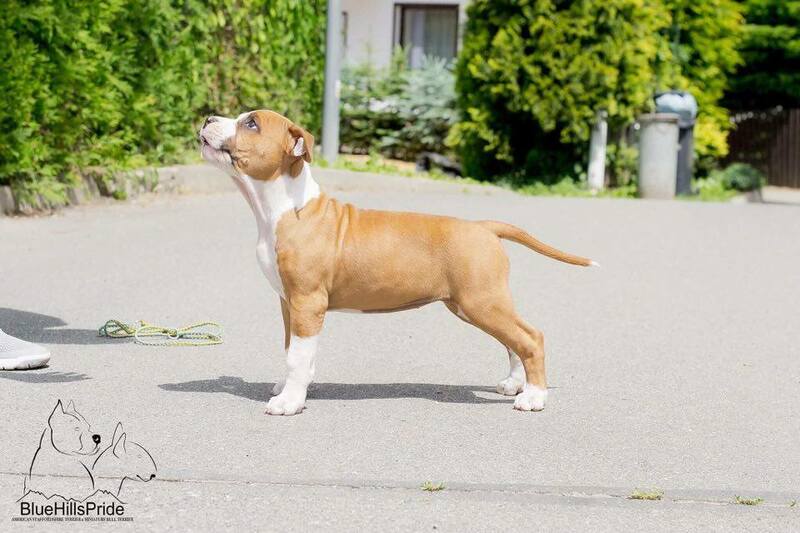 september 2013 SHILA v3/28 in junior at AMSTAFF MAJOR! 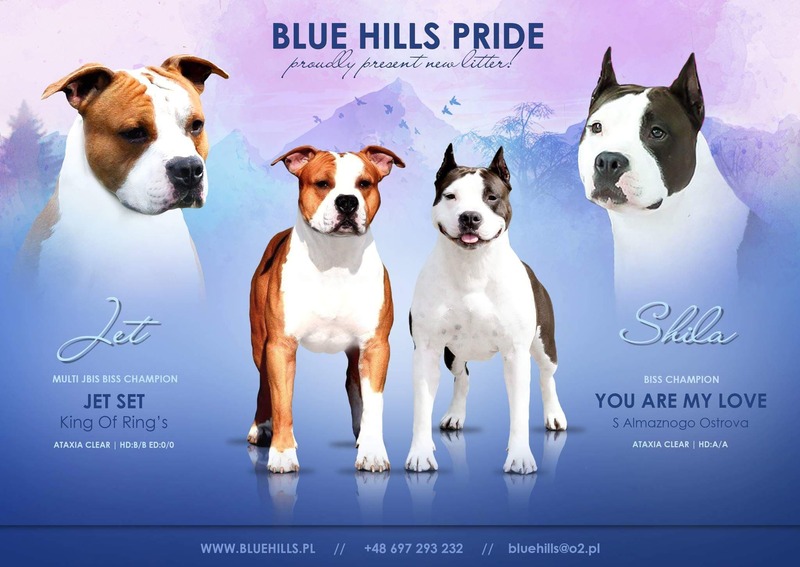 june 2013 SHILA ONCE AGAIN BEST OF BREED! 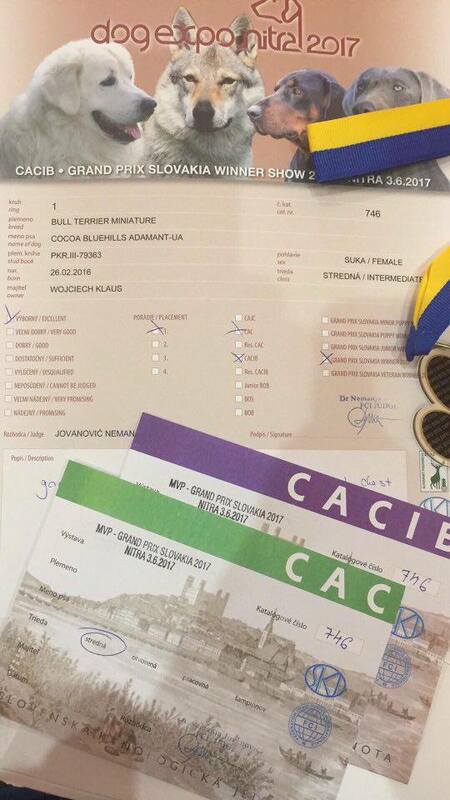 We are so happy that our shila once again proved her quality :) Today at CAC show in Jelenia Góra won junior class and gained: 1st, JCAC, BOB Junior and BOB! 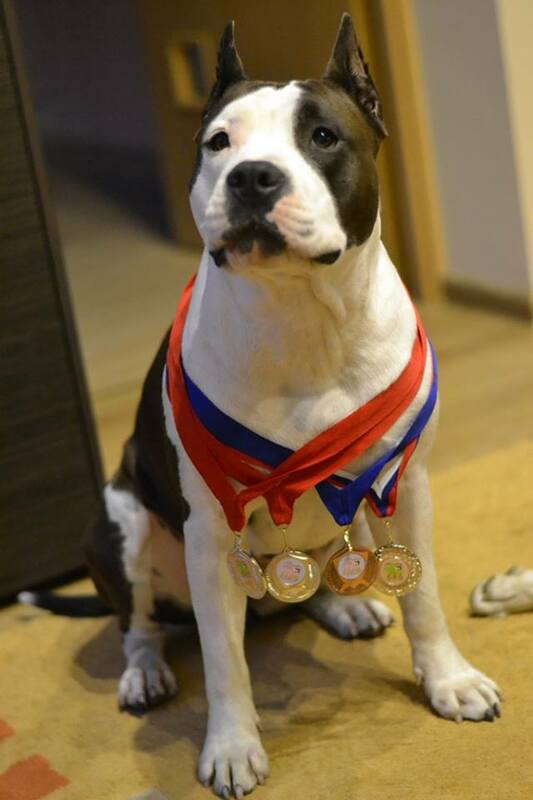 Behind this great success, Shila also with our Atom took part in competition BEST BREEDING PAIR and won 2nd place! may 2013 FIRST BOB OUR SHILA! WOW! 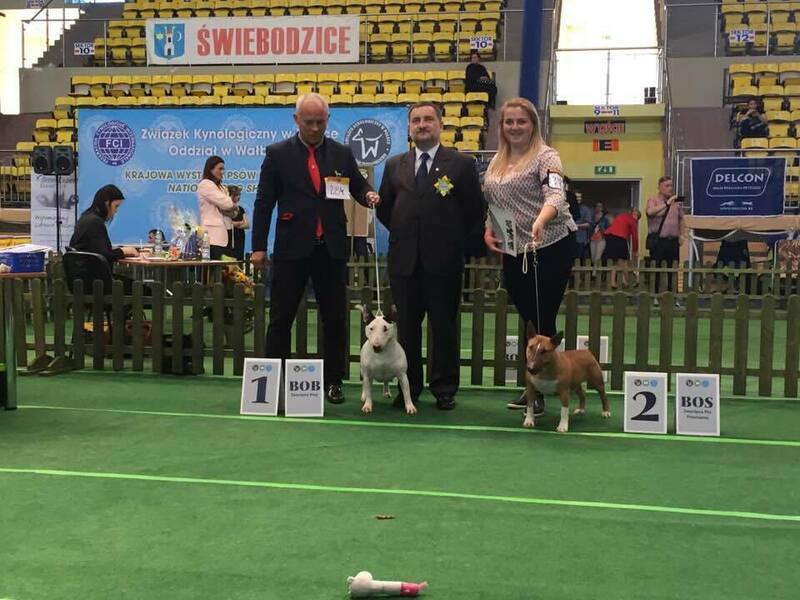 We cannot describe how happy we are because our star Shila at CAC show Świebodzice in junior class won: 1st place, JCAC, BOB Junior and for desert BOB! This way she started JUNIOR CHAMPION OF POLAND! 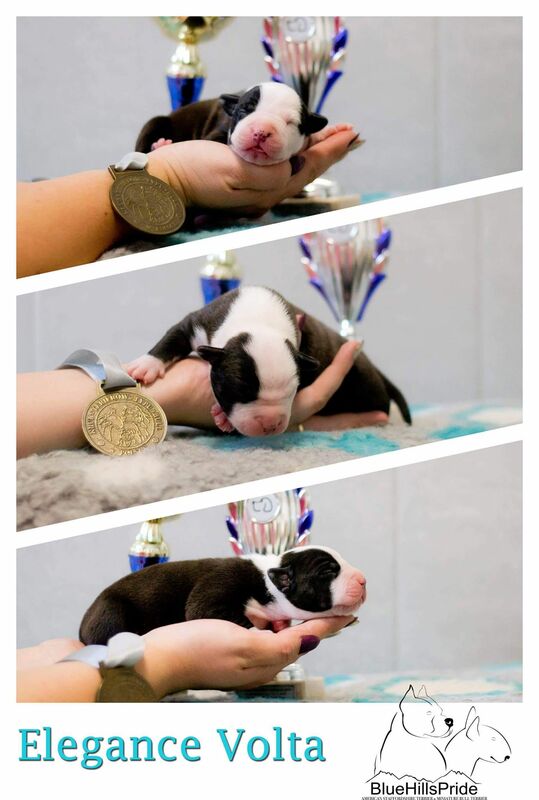 may 2013 FIRST PUPPIES AFTER ATOM WERE BORN! 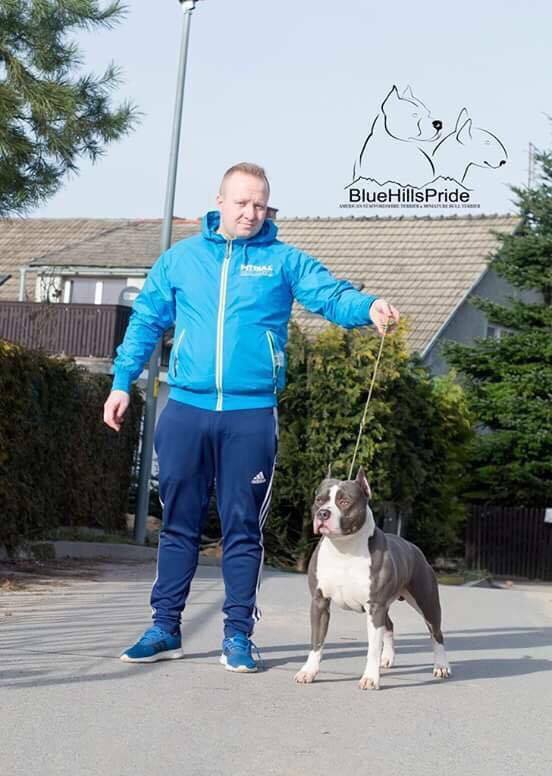 We are happy to announce that in Czech Republic kennel "Od Benga" were born puppies after our male ATOMIC BOY x PRETTY LADY IN BLUE Z Samotni Christ! 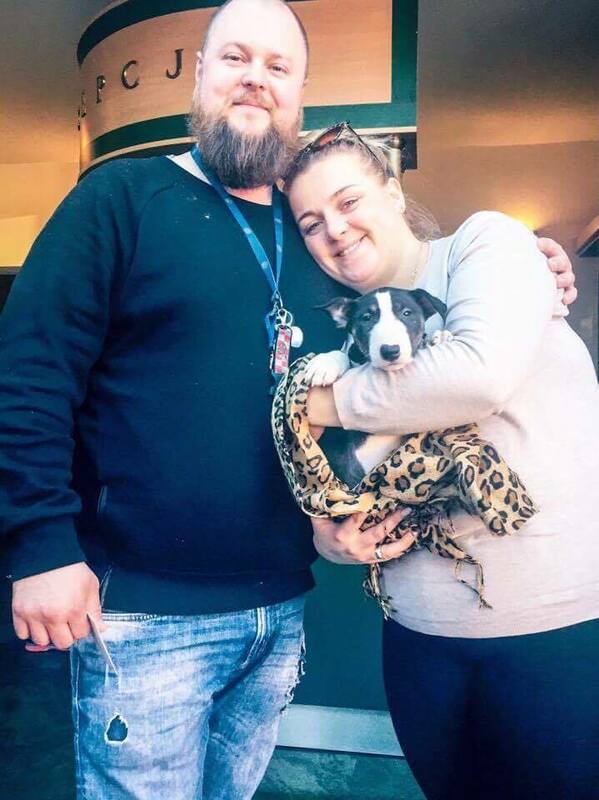 Big congratulations for breeder! 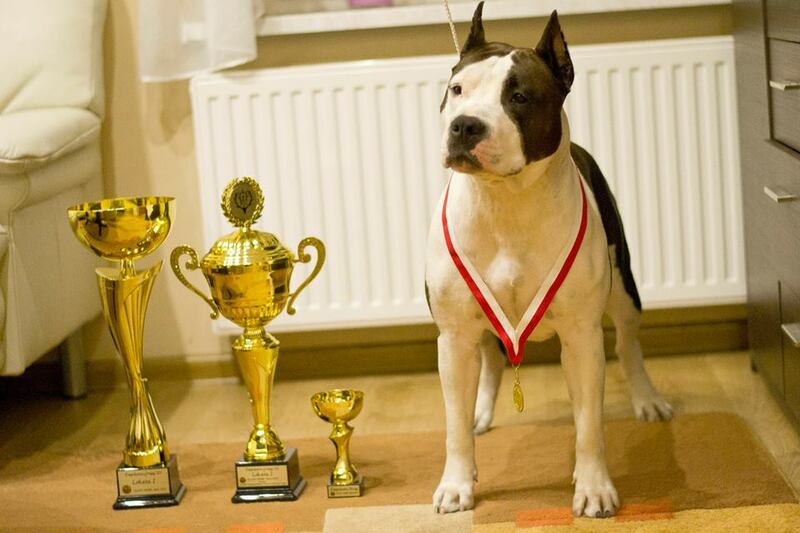 april 2013 ATOM - CHAMPION OF POLAND! 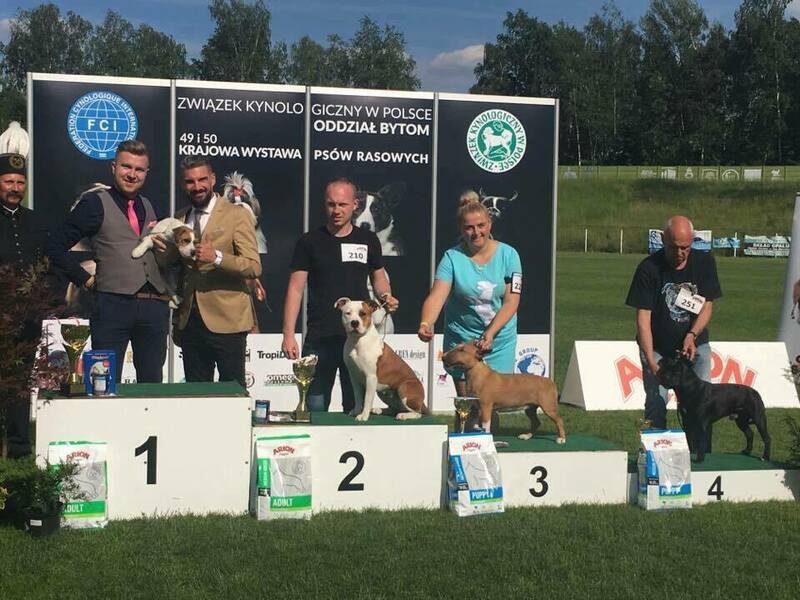 Our great Atom once again made us proud :) Today at INT Dog Show in Opole in iintermediate class he took 1st place with his last CWC certyficate which he finished title CHAMPION OF POLAND! Jupi!!! 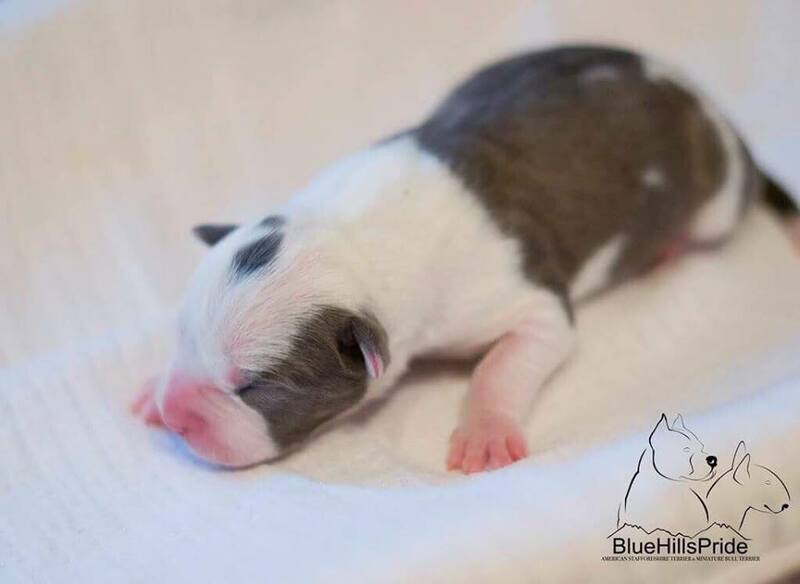 january 2013 SHILA BIS PUPPY II !! 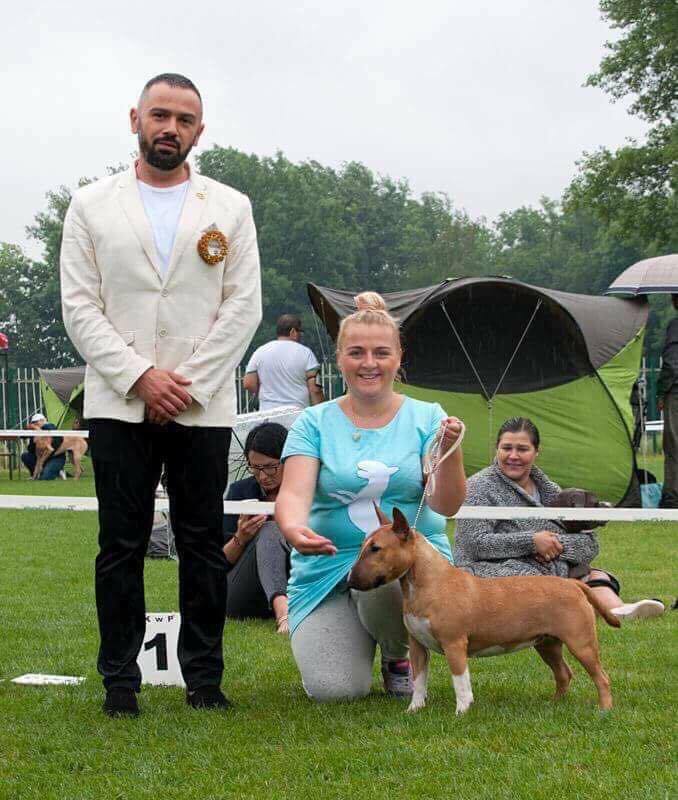 Continuing our run of luck..
International Dog Show in Głogów was very successful for us Atom in intermediate class once again gained 1 place out of 5 males with his 3rd CWC - (Yuupi!). Shila in puppy class showed her class and took 1st place out of 2 females and next she was chosen to be BEST PUPPY IN BREED and at BIS she took 2nd place at BIS PUPPY! december 2012 SHILA BIS BABY I !! november 2012 ATOM ATAXIA CLEAR! We have one more reason to celebrate :) We've just got a result for ataxia our Atom and we are happy to announce that he is ATAXIA CLEAR! october 2012 ATOM STARTED CHAMPION OF POLAND! Yeah! 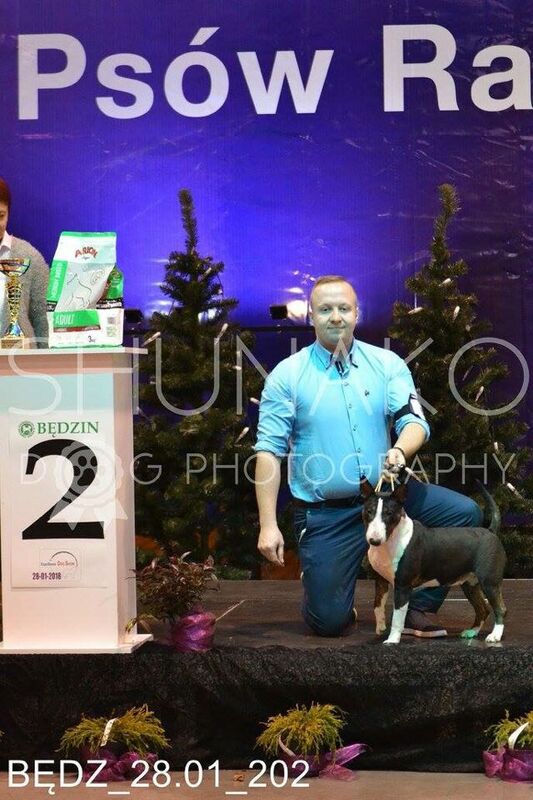 At international dog show in Poznań Atom did amazing job - he was first with CWC & res.CACIB! That way he started title CHAMPION OF POLAND :) We are so proud. 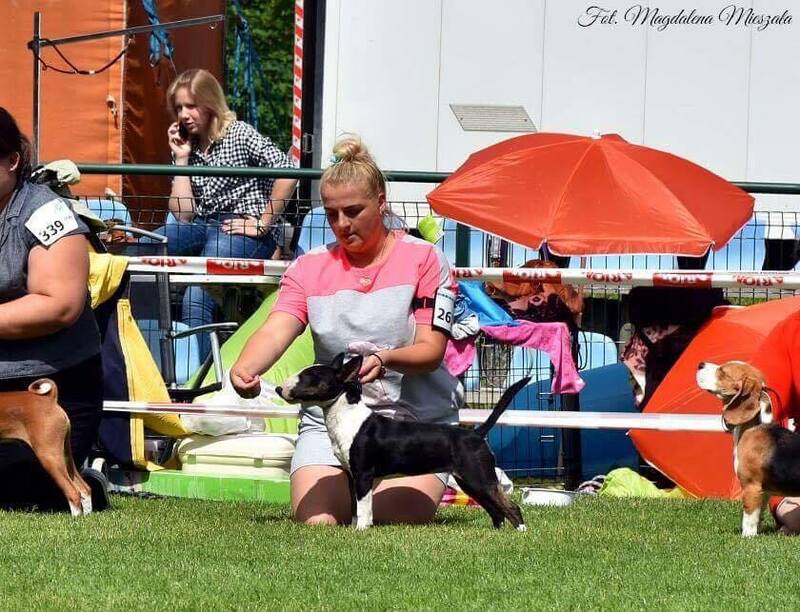 At this show we presented our boy first time in adult class. He was great and gained second place with excellent mark. august 2012 ATOM NEW JUNIOR CHAMPION OF POLAND! 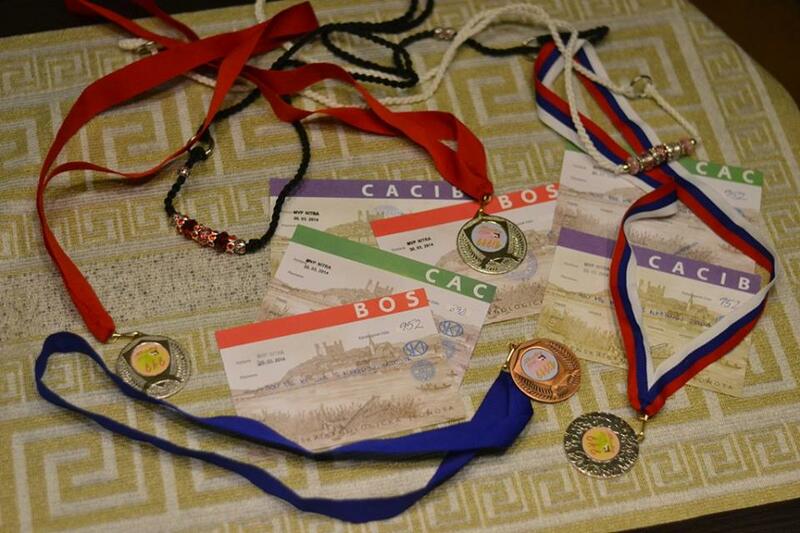 Another shows weekend behind us :) This time we went to Bratislava we participated there in 2 CACIB shows. 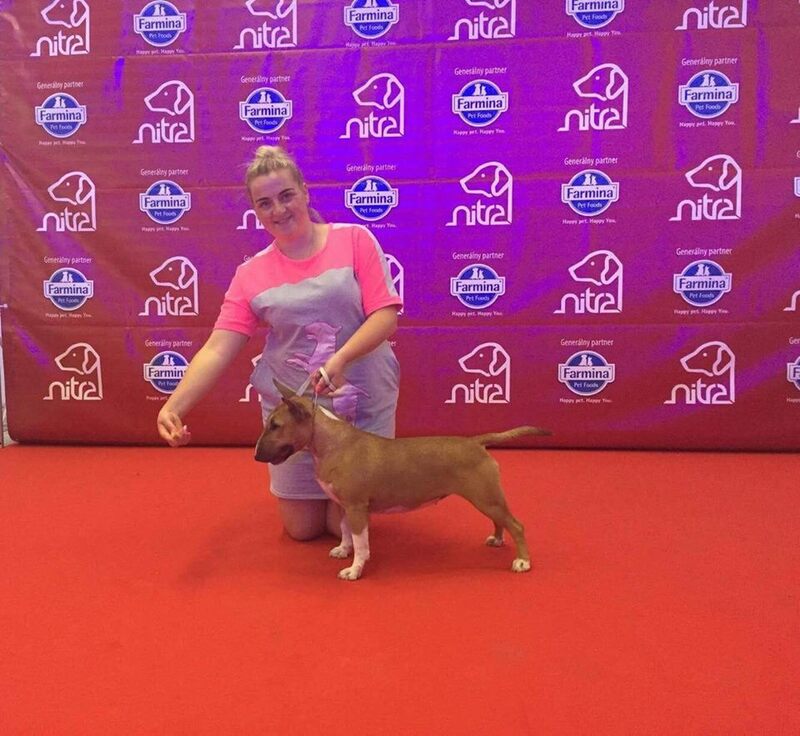 Atom in junior class was at 3 and 4 place with excellent mark. Thanks for owners Erna for a great weekend! This beautiful, hot weekend we presented our boy Atom at 2 shows in Kraków. 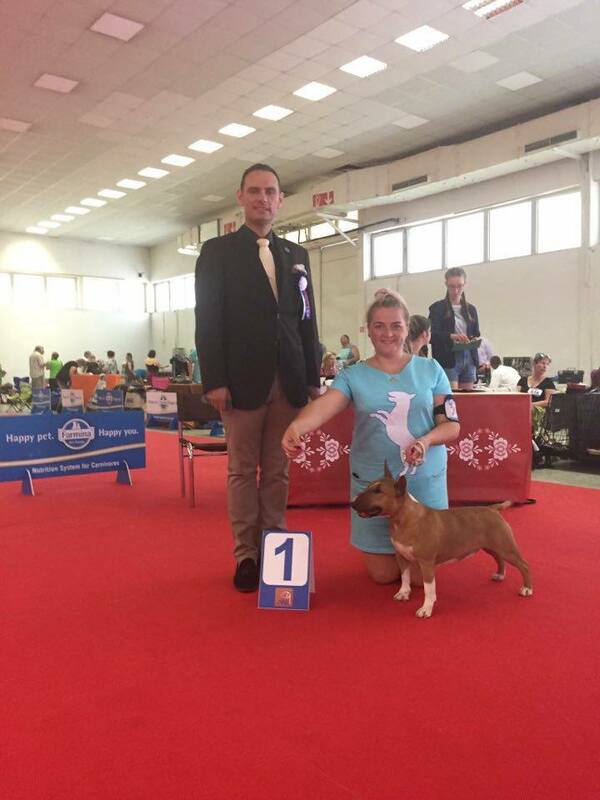 First day was International Dog Show and Atom gained the excellent mark and 4 place. 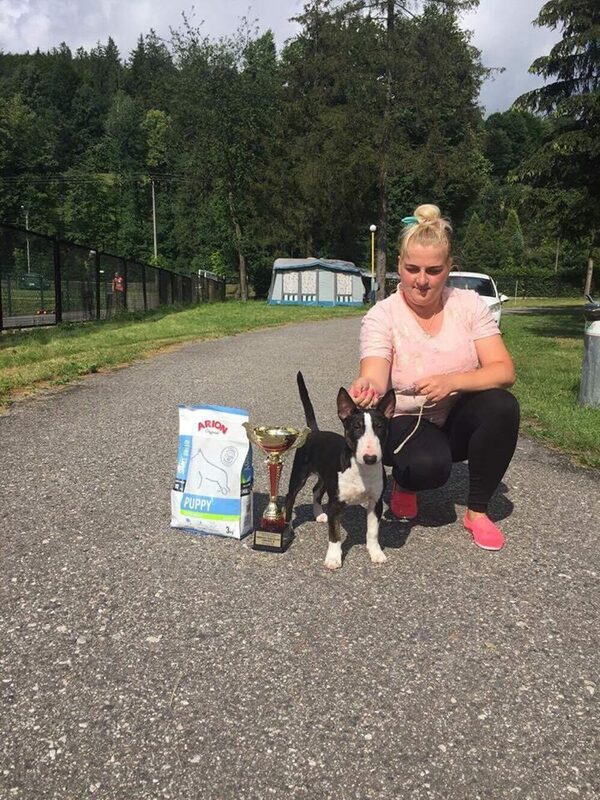 Today is a very lucky day for us because Atom won junior class and gained his first title Junior Winner! 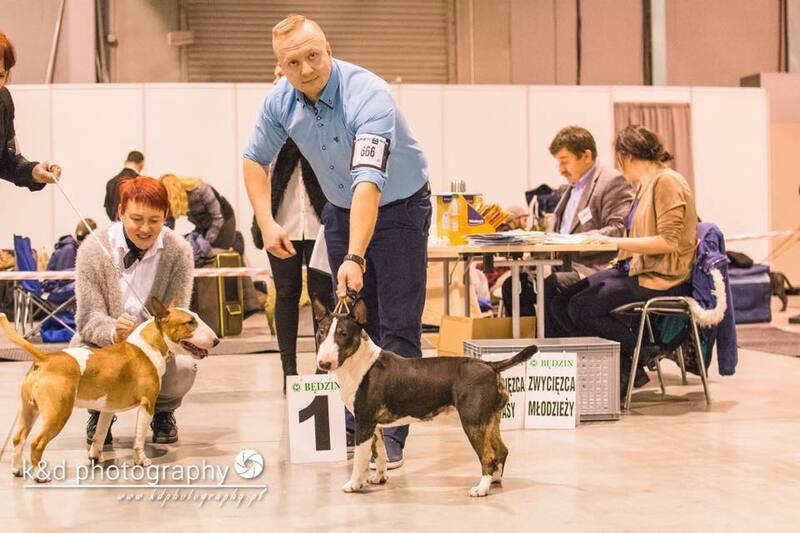 This way Atom started title Junior Champion of Poland! june 2012 Welcome on our website! With big pleasure we present you our fresh website. Please enjoy it and re-visit us often!